Bitcoin regained its footing on Monday, having suffered its heftiest falls since early 2015 between Thursday and Saturday as investors sold the digital currency on worries about its future. 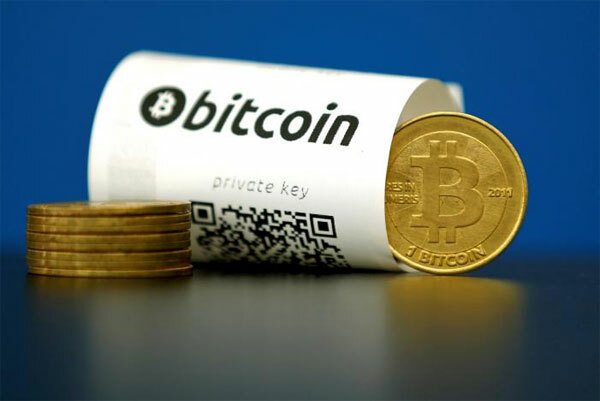 FILE PHOTO - A Bitcoin (virtual currency) paper wallet with QR codes and a coin are seen in an illustration picture taken at La Maison du Bitcoin in Paris, France, May 27, 2015. Bitcoin experts said its steep losses were driven by a longstanding, and intensifying, row over whether - and how - to increase the capacity of the "blocks" that bitcoin transactions are processed in, so as to make sure there are no delays in transactions being finalised. "The bitcoin scaling debate is a risk for the network and highlights core issues in terms of governance and this is where more nimble crypto competitors see advantages in fleshing out their capabilities sooner," said Charles Hayter, CEO of digital currency analysis website Crytocompare, in London. At the same time that bitcoin was plunging, a newer, rival "cryptocurrency" was soaring: ether. The digital currency behind Ethereum - a project that some experts say holds more potential than bitcoin - has almost tripled in value this month, jumping to record highs of around $45. "Traders in the space are looking for better returns in the more risky and nascent cryptos such as Dash, Monero and Ethereum (and are) looking to replicate the extraordinary returns that bitcoin saw in its early days," added Hayter. U.S. regulators dashed Cameron and Tyler Winklevoss's bitcoin ambitions earlier in the month by rejecting their application to list an exchange-traded fund linked to the digital currency.